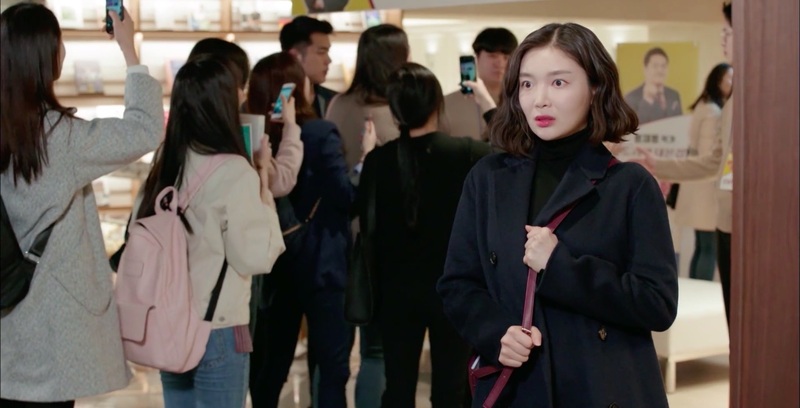 Kang Mi-hye (Kim Ha-kyung) comes here after visiting the columbarium in episode 6 of Mother of Mine/My Prettiest Daughter in the World (세상에서 제일 예쁜 내 딸) (KBS2, 2019), and runs into Bang Jae-beom (Nam Tae-boo), who’s having an autograph session at the bookstore. 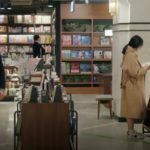 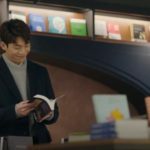 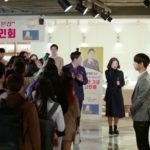 Ji Seo-joon (Wi Ha-joon) always comes to this bookstore on the day books he’d done the cover design of are launched. 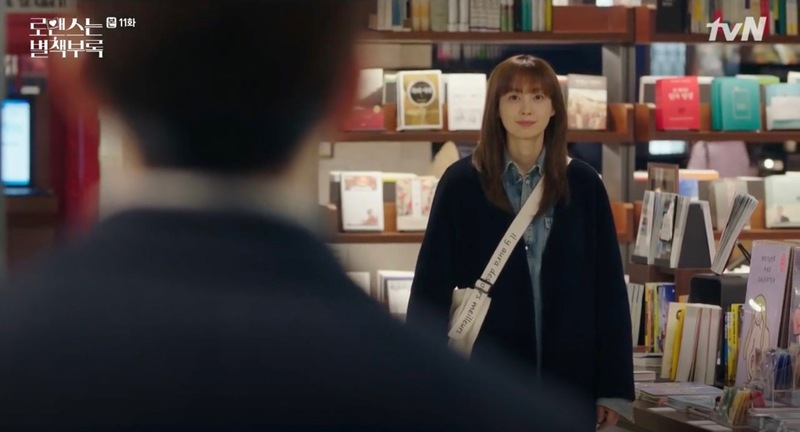 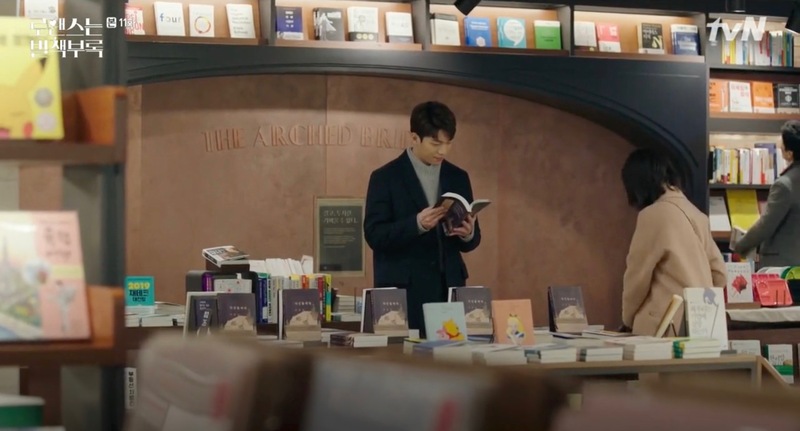 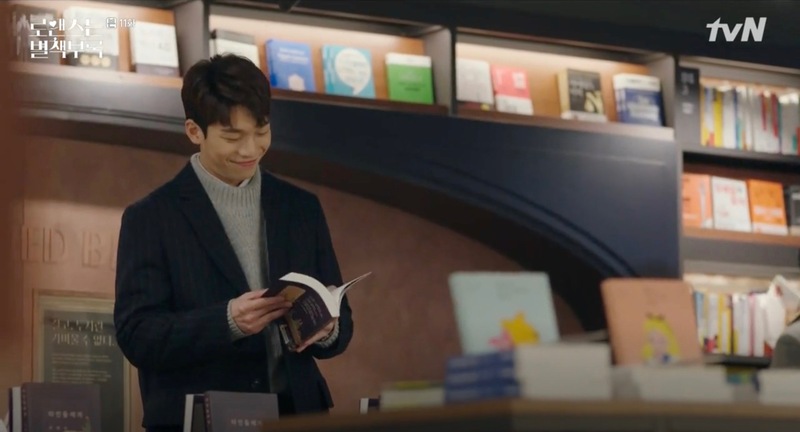 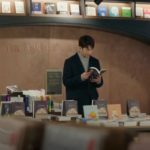 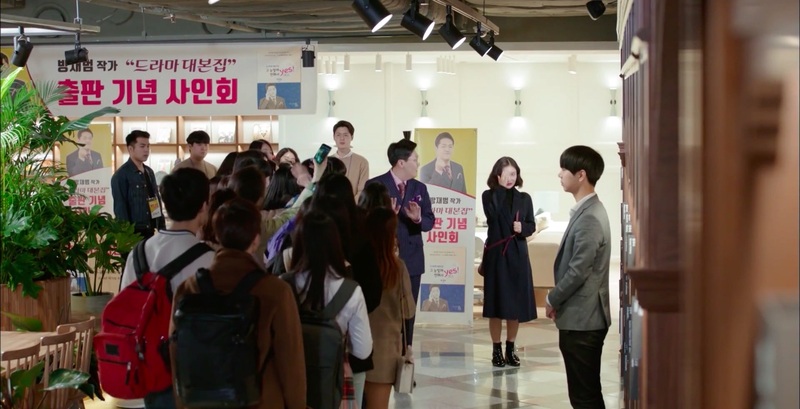 This is how Kang Dan-yi (Lee Na-young) finds him here in episode 11 of Romance is a Bonus Book/Romance is a Supplement/How To Publish Love (로맨스는 별책부록) (tvN, 2019). 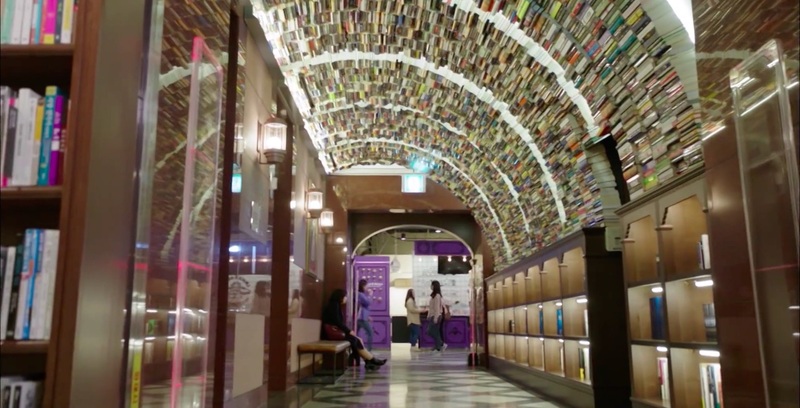 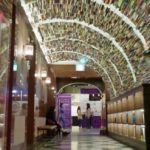 ARC.N.BOOK [아크앤북] — characterized by its vintage look and creative ‘Book Tunnel’ display (책터널) — is a bookstore located in the basement of Buyong Eulji Building (부영을지빌딩) in Seoul’s neighborhood of Eulji-ro 1(il)ga [을지로1가] in the Jung District [Jung-gu/중구]. 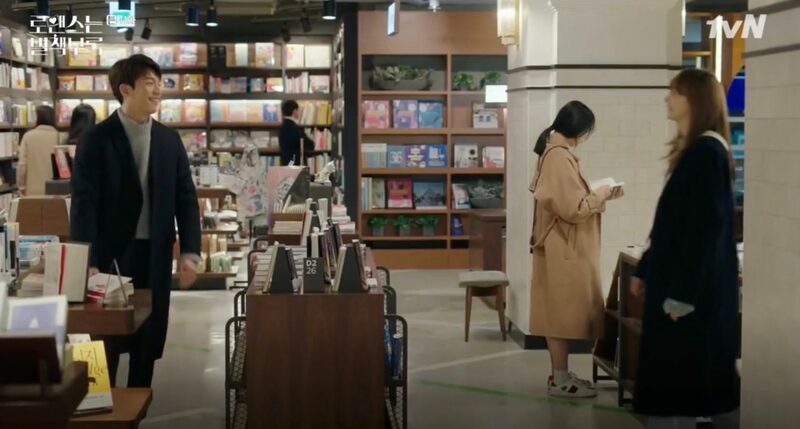 Another branch — with a turquoise theme — is located in Seongsu (성수연방점).